Pulimurugan is a simple 3D casual game from Csharks Games based on the movie ‘Pulimurugan’ starring the Super Star Mohanlal. Its free game with action game play. Augmented Reality(AR) version of Pulimurugan Movie Official 3D Game. It may be the first AR game based on a movie in India! 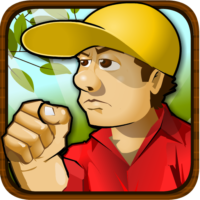 Jungle Cafe is a time management game with a jungle restaurant theme. You have to manage the restaurant by helping the waiter monkey to serve the customer monkeys and timely deliver the fruits as customers demand. Use the money earned to purchase new fruits and add to the cafe menu. This action game set in the streets of Mumbai City. Inspector Vijay is an encounter specialist in Mumbai Police Department. An anonymous tip has taken him to the streets of the city where it turned out to be an ambush. Goons & terrorists had planned it perfectly but Vijay was not going to let it be the end of it. He needs help to stand against waves of enemies across the streets before the backup arrives. The Jungle Cafe which used to be an all-monkeys' cafe has opened its doors to all. Animals were eagerly waiting for the grand opening. When the news hit the forest, they started rushing towards the Jungle Cafe. There is a river on their way. The goal of the game is to help the animals cross the river safely. Help them bounce across the river to a safe place. The main theme of this game revolves around an African tribal man & his family. Voodoo masks have become integral part of the tribal family. The family is trying to make their moves for the benefit of all. But things can go very wrong if they let the voodoo get the better of them. The goal is to match & destroy as many voodoo masks as possible & release all the positive energy. Carrom is a "strike and pocket" table game game popular in South and East Asian countries. Carrom is very commonly played within families, including the children, and at other social functions. Different standards and rules exist in different areas. Match the Jewel triplets to fuse them and score. You can either tilt the device to rotate the grid or swipe the screen to move the jewels to a direction. Set your control in Settings. Explode all Jewels to advance levels. You have limited life and the timer is ticking. Quash board is a puzzle board game. Game is simple in look and play, but the levels will challenge your puzzle solving skills as game progresses. Try solve the 80 awesome puzzles. The objective is simple, remove all balls except one from board by knock each other. Jack is an adventurer. He was flying over the sea with his small aircraft. When he was over a jungle island, his aircraft's engine failed and he lost the control of the aircraft. He escaped before it crashed and safely landed on the island. Now he has to escape from the island and the only possible way is to find a boat. As the name suggests, it's a parking game. The objective is simple, park your car in the space marked for you. 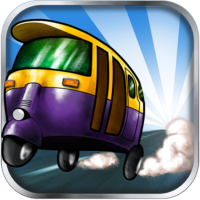 The game tests your concentration, precision & reflexes as you try to make a perfect park. It's not that easy to park your car without much scratches and crashes. You're allowed to make some but not more than 5. 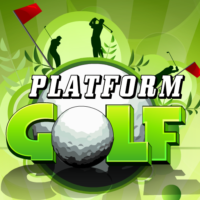 Platform Golf is a game in which we play the golf ball through platform to knock it into the hole. Touch anywhere on the screen, drag to adjust the power and direction of shot and release to shoot the ball. Bouncy Squirrel is super excited. Help him to collect the fruits and reach the sky. Squirrel can jump through the platforms and pick the fruits. He will lose the life if fall down from any platform. Squirrel can jump higher if touch on the screen while he jumps and accelerometer can be used for side-wise moves. Game is about managing a spaceship which is in a mission to collect sheep specimens from a planet. Spaceship has to pick all sheep to find its way out and unlock the level. It requires moves with some tactics to pick allsheeps by avoiding the traps in the level. Spaceship move can be controlled by swipe through screen. Kraken Attack is a side-scrolling sea warfare game. The hero of the war is a huge sea monster in the deep sea. Player controls the huge monster destroying anything that comes in its way, be it a ship, planes or innocent dolphins. The goal is to stay alive & score the maximum. 'Illam' is a type of house used by some particular castes in South India, particularly in Kerala. Usually Illams built in the form of 'Nalu Kettu' (quadrangle) - Kizhakkini (eastern part), Thekkini (south), Padinhaatti (west) and Vadukkini (north), as seperate structures. Some lllams has complex structure. In this demo game we used a simple Illam structure for VR escape game. It's Christmas time! Time for cakes! Don't you love cakes? Design your cakes and share it among your family & friends. You can design your own cake and share. If you are not patient enough to design a cake from scratch, you can select one from the “Ready to Share” cakes on the menu. Robogoyo is a engrossing puzzle involving a simple series of rings and a long oval pin. 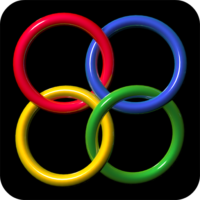 Using the minimal number of locking and unlocking moves, weave the oval pin through all the rings in the shortest possible time to solve the puzzle.